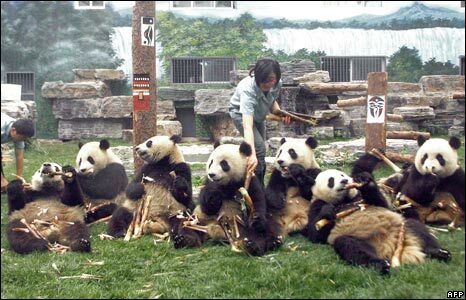 A group of giant pandas is fed at a zoo in Beijing, after the animals were moved from the Wolong breeding centre because of food shortages and damage after the 12 May earthquake in the region. 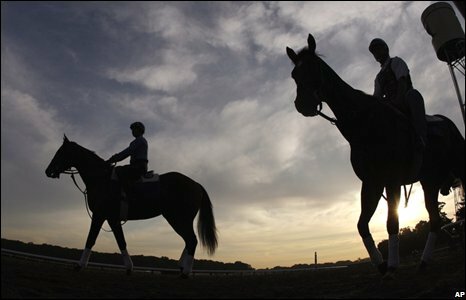 Horses are exercised at Belmont Park in New York state ahead of Saturday's final leg of the US Triple Crown, with Big Brown hoping to add to the Kentucky Derby and the Preakness. 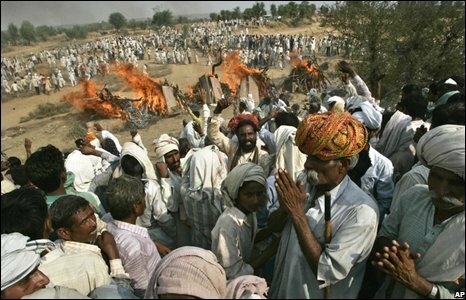 Members of India's Gujjar tribe killed in anti-discrimination protests are cremated in Rajasthan. 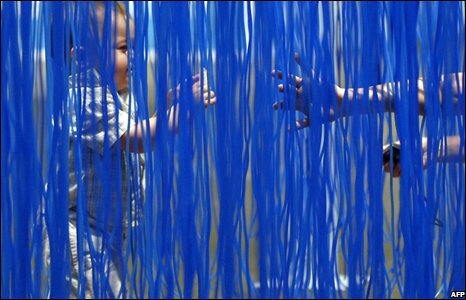 A young visitor to the Basel art fair in Switzerland enjoys Jesus Raphael Soto's artwork entitled Penetrable bbl bleu. This Tibetan activist is among more than 30 detained by police during an anti-Chinese demonstration in front of the Chinese embassy in Kathmandu, Nepal. A model of an alien autopsy, which conspiracy theorists believe was secretly performed in 1947 in Roswell, New Mexico, is displayed at a museum in Tokyo. A couple from Glasgow becomes the first to get married officially on Sydney Harbour Bridge. They were dressed in climbing suits and the ring was attached to a safety rope. 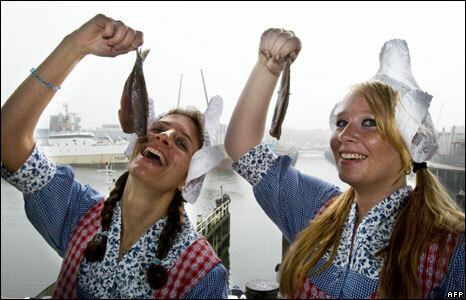 Women in traditional dress celebrate the first big herring catch of the year in the harbour of Scheveningen, the Hague. 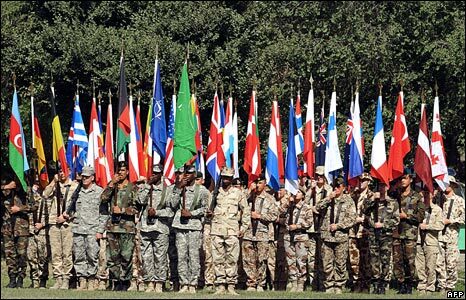 Soldiers from the Nato-led force, Isaf, hold flags during a change of command ceremony at their headquarters in Kabul, Afghanistan.